Vacker Group of companies is established to provide specialized engineering solutions with a focus on energy conservation and are presently involved in Cold Chain Management Solutions, Industrial/Process automation, Home/Office automation, MEP contracting, engineering activities, Internet of Things(IOT) and Trading in Electro-Mechanical items.We are slowly expanding our operations in various countries in the Asian continent in the related fields. Presently we are involved in the following activities in Asia, Middle East, Africa and Europe. This group provides Industrial & Process Automation solutions. The activities include supply of various types of sensors such as Motion sensors, Presence sensors, optical sensors, automation sensors etc. The division also provides specialized custom made automation solutions for all types of industries. We carry out Engineering services such as Lighting Study, Short Circuit Study, Relay Setting Calculation, Harmonic study etc. This wing provides software solutions such as ERP Software, Hospital Management Solution, Data Mining Services, Document Management System, Internet of Things(IOT) etc. This is part of Cold Chain Management solutions and supplies various products and solutions for monitoring and recording of Environment parameters. 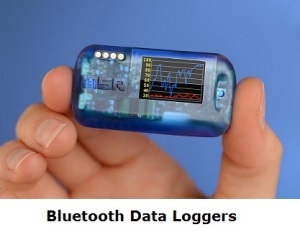 Read more on Temperature monitoring products. Cold Chain system refers to the management of various temperature-sensitive products such as Medicines, Vaccines, Biomedical samples, Food, Fruits, Vegetables etc. Vacker provides various products and solutions for Pharmaceutical and Food industries around the Middle East, African, European and Asian countries. Read more on Cold Chain Management Solutions. 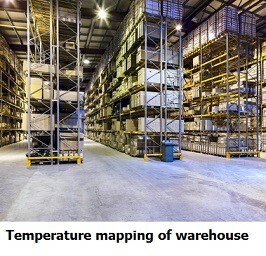 We are approved partner of Cryopak, USA for carrying out Temperature Mapping study & Qualification for warehouses, cold room, refrigerator, reefer, freezer etc. which are for transportation and storage of medicine, vaccine etc. Read more on Temperature mapping study & Qualification. We supply all types of items required for Electrical, Mechanical & MEP contracting. We presently operate directly and through our associates in UAE, Kuwait, Oman, Saudi Arabia, Qatar, Bahrain, Jordan, Bahrain, Iraq, USA,UK,Germany,Nigeria, Kenya,Ethiopia, Sudan, Djibouti and India. Vacker Arabia supplies specialised engineering solutions for all types of customers in all cities of Saudi Arabia covering Jeddah, Dammam, Riyadh, Jubail and Khobar.